How Far is Vision's Urjith? Vision's Urjith is designed with the greatest of the elevation and lifestyle amenities. Central Courtyard with 36000sft club house adds lifestyle to the community. A 36000sft of centralized Ac club house with state of art amenities. Vision's Urjith is a gated community where the focus is to create a retreat like space that stands the test of time. A concept villa that offers you the pride to experience an ultimate lifestyle and also savour the beauty of nature at leisure. 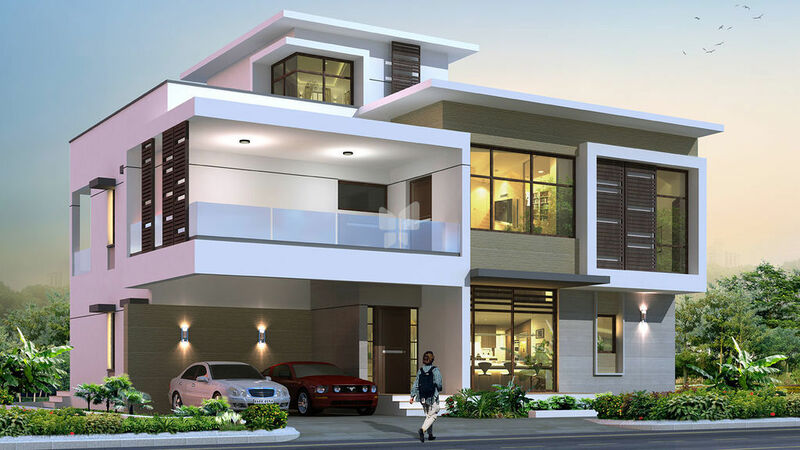 Situated in one of the most flourishing and vital areas of Tellapur, Hyderabad, Urjith will be a luxurious and sophisticated gated community of around 274 villas spread across approximately 40 acres, where fresh breeze will comfort you as you walk through the door of your home or spectacular views of nature unfolds in mysterious ways, enthralling you, every single moment. R.C.C. Framed structure with M20 grade concrete ready mix concrete for beams and slabs. Reinforcement steel of FE415 grade. Brick walls (red brick / fly ash) in cement mortar 9" thick for external walls and 41/2" thick for internal walls. Sponge finish in cement mortar in two coats. Teak wood frame and shutters polished, designer hardware of reputed make. Teak wood frame with Moulded Panneled shutters. Granite platform with stainless steel sink and glazed color ceramic tiles dado upto 2' height. Non-slippery ceramic tiles flooring and glazed color ceramic tiles dado upto 7' height. Cascade EWC with health faucet. Hot and cold wall mixer with shower provision for geysers in all toilets. First quality Hindustan make or Roca equivalent make. Grohe or equivalent make chrome finished taps. Water supply points in kitchen/toilets as required, sanitary system water supply is through hydro pneumatic system. Separate water meter for individual units. Provision for washing machine, dish washer and wet area for washing utensils. Exterior Emulsion Paint in ICI or equivalent make. Plastic emulsion paint over smooth finish with wall putty of altek make. Concealed copper wiring of Finolex or equivalent make with adequate electrical points for lights, fans and T.V. points and 5a and 15a sockets for air conditioners and refrigerator etc. Switches of legrand anchor or equivalent make. Telephone points & T.V. points in all bedrooms, systems drawing & dining areas telephone cable with high speed cat 6 cable provision for DTH T.V. service intercom facility in all units connecting to security & amenities internet provision in master bedroom and study room using cat 6 cable Wi-Fi facility available near club house & park. Reticulated piped gas system with individual meters.